訊息: ="錯誤號碼" & [MacroError]. 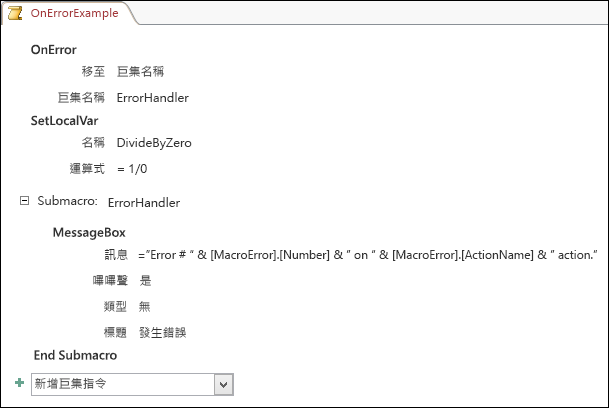 [Number] & " 發生於 " & [MacroError]. [ActionName] & " 巨集指令。"